Scientific Meeting & Dinner - The Medico-Legal Society of NSW Inc.
Ms Kylie Agand. Kylie has 15 years’ experience as a health industry lawyer. Her primary expertise is medical defence litigation. Kylie specialises in Supreme Court litigation involving major claims. She has expertise in cases involving obstetric management, cancer, infectious diseases and neurological injury. She also assists medical practitioners dealing with complaints and coronial inquests. 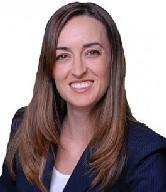 Kylie has written articles for the firm’s Health Business journal and also for the Australian Health Law Bulletin. She has also been invited to speak at medical negligence seminars. Dr Lisa Brown is a clinical and forensic psychiatrist who has been qualified since 1993. 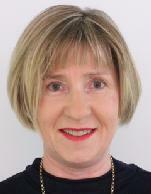 She currently works in private practice and holds an academic position as clinical lecturer with University of Sydney. With the support of the NSW Institute of Psychiatry Dr Brown undertook research into the association between sexual abuse and eating disorders and developed clinical interests in the treatment of posttraumatic stress disorder and dissociation. She worked as a visiting medical officer to the Silverwater Women’s Correctional Centre for 20 years. Dr Brown is now involved in writing both criminal and civil reports, particularly in the areas of medical negligence, historical sexual abuse and bereavement related claims. Her teaching commitments include instruction in mandatory reporting for medical students. She is a committee member for the NSW Forensic Faculty of the RANZCP (NSW branch) and has in press an article on the role of the support person in the medico-legal examination. NSW Bar Association has accredited attendance at this meeting for 1 CPD point. Solicitors who find this meeting relevant may claim credit for attendance at this meeting towards their MCLE obligation at 1MCLE unit per hour. Medico-Legal Society of NSW Inc.
Next Next post: Complaints against doctors are on the rise! Why are patients complaining and what can you do.